Keep us going: Support Enough 14! Never before had the Champs-Élysées truly been “the most beautiful avenue in the world”. For a day, this artery, this symbol of luxury, became the embodiment of a regained common power. 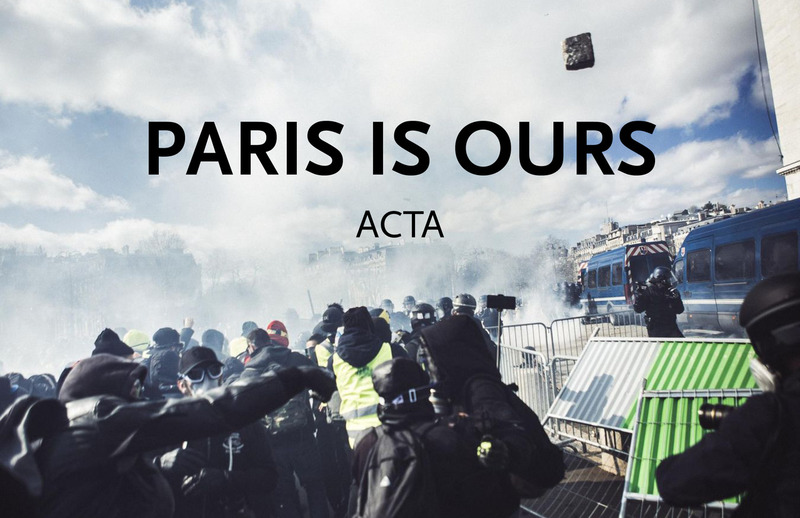 Continue reading #GiletsJaunes: #Paris is ours! 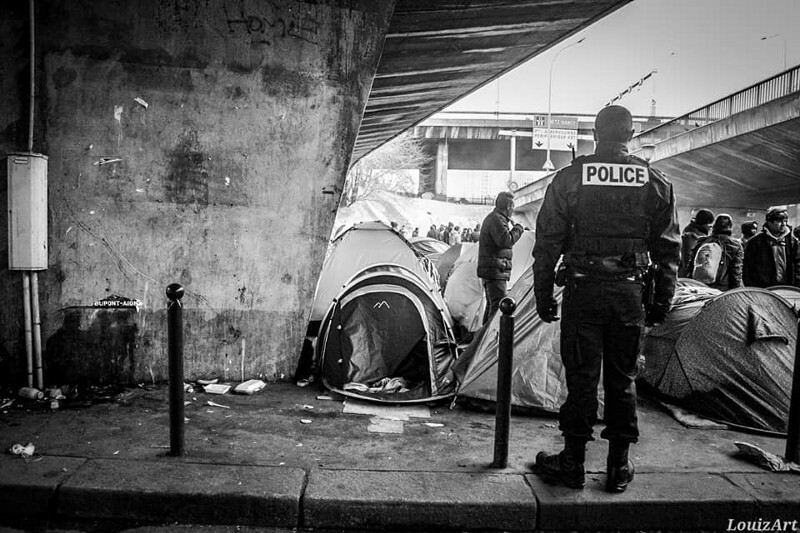 Tuesday evening, saw a massive eviction of Paris’s Porte de la Chapelle urban camp. According to Paris Refugee Ground Support (Warning Facebook Link), hundreds were brought to gymnasiums to get out of the cold overnight — but hundreds more were left behind to fend for themselves. An account of the Nazi aggression against the NPA and a call to meet again. Paris: The NPA demonstration was violently attacked yesterday, Saturday, during Act XI of the Yellow Vests in Paris by “les Zouaves”, an informal group of radical far-right activists from different organizations and ultras. Last week, they also attacked anti-fascist activists. 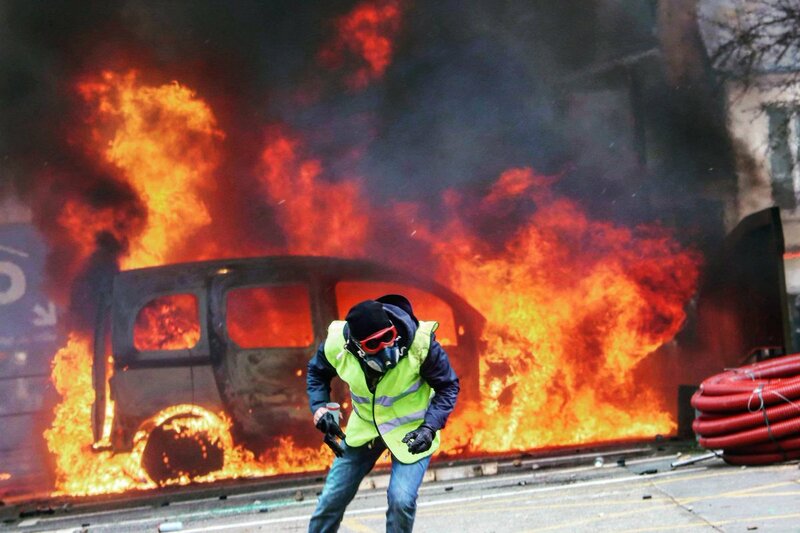 We reproduce here our call, that of “Gilets Jaunes” from eastern Paris, gathered around similar observations. We are unable to spread it on social networks, probably because of censorship. If some find our approach relevant, they are free to spread it by their own means. We republish a piece by Left Voice. Although we don’t agree on many points with Marxist and Trotskist groups, we think its important to give an overview of thoughts and opinions of the many diferent actors on the streets of the French territory. 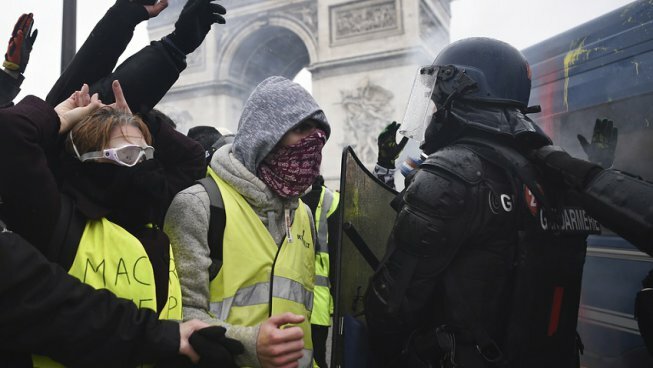 A report about the Yellow Vests protests on December 15. 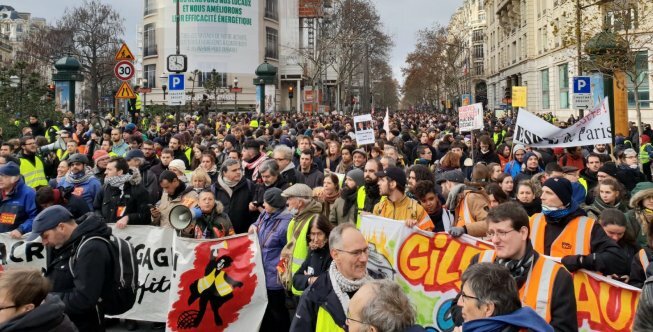 On Saturday, tens of thousands of people were demonstrating on the Champs-Elysées in Paris, following the call by the Gilets Jaunes (Yellow Vests). 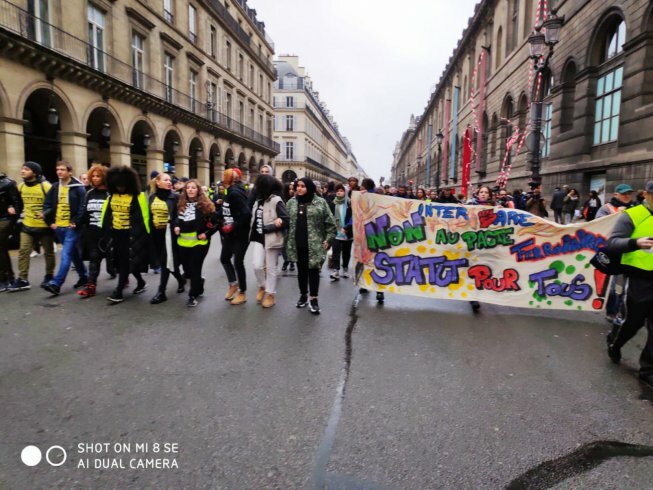 A second demonstration at the Saint Lazare railway station was organized by railway workers, a committee against police violence and an LGBTQ group. The government’s rhetoric is meant to terrorize the movement – but it did not work. 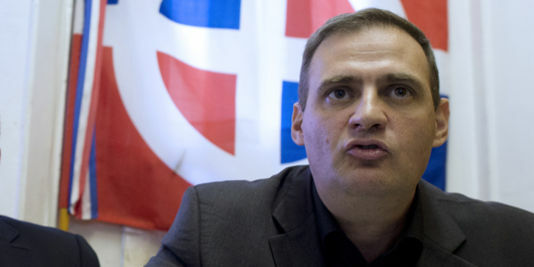 Last Saturday (December 1) the well-known fascist Yvan Benedetti literally was kicked out of the Yellow Vests demo in Paris. #Paris, #France: Gasoline Price Increases? We Will Use Fire Starters! Statement by Stuart, Kevin and Bob about an action in Paris on November 27. Continue reading #Paris, #France: Gasoline Price Increases? We Will Use Fire Starters! French territory: Clashes are reported from Paris, Toulouse, Marseille and other cities. 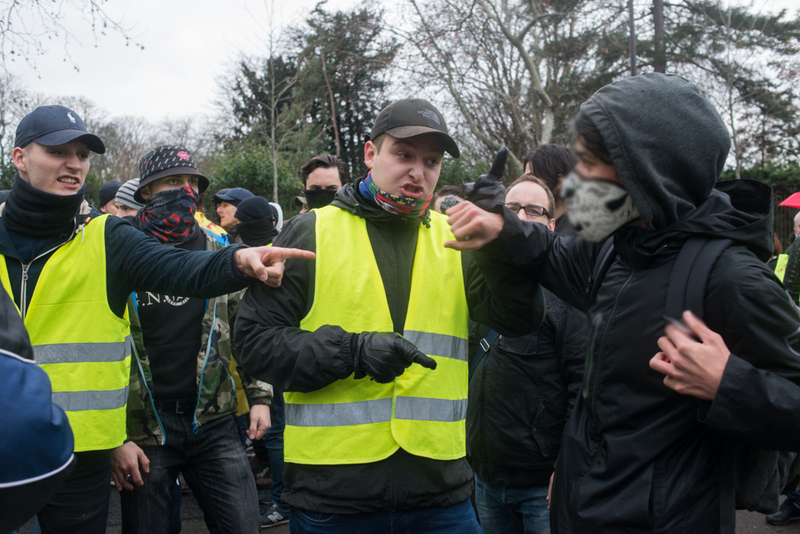 Although there is no doubt that far right elements are active in the Yellow Jacket (French: Gilets Jaunes) movement, many leftwing groups are also involved. The anarchist and leftwing groups that are on the streets don’t want to hand over the streets and the protests against the neo-liberal policies of Macron to the far right… Although we (Enough is Enough) don’t have a good feeling seeing right wing elements also on the streets , we made an edited machine translation of this report by Revolution Permanente about a demonstration in the early afternoon in Paris today. We try to understand.. but its complicated. Donation for our work in the Enough 14 info-café and our independent reporting on our blog and social media channels. Even 1€ can make a difference. Receive every new Blog post per Email. A longtime resident of the ZAD explores how internal dynamics helped set the stage for state repression of the world-famous land occupation in France. 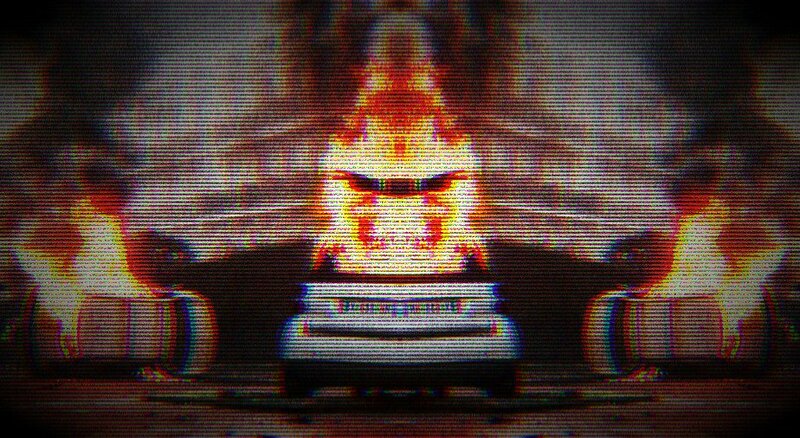 A series of zines analyzing what we can learn from the anarchist mobilization against Trump's inauguration and the defense campaign that followed it. Balancing the books for the proletariat—an underpaid worker dressed as McGruff the Crime Dog sneaks into a hockey game to play hooky—and more! What's the relationship between anarchism and art? How do we create the kind of world we want to see? And how we learn to believe that we are "good enough?" In this episode, Alley and Rhyd talk with guest Margaret Killjoy and share stories of how they became who they are. While many people have begun to use Globalization and Globalism inter-changeably, they are absolutely not the same thing. In this episode, Alley & Rhyd discuss the damage done by global Capital, the history of Globalization, the anti-semitic conspiracy theories of Globalism, and the solution: Internationalism. "I have met my own people, and I hate them all." --Claudia, from Interview With The Vampire In this episode, Alley and Rhyd discuss their own journeys into Paganism and witchcraft and how they differed radically from the "business" of Paganism and witchcraft in America. Alley and Rhyd discuss the problems of nationalism and explore the important differences between indigenous and colonized people's struggles for national independence and the far right and white nationalist struggles, and the role of global capitalism in the destruction of cultural differences. In this third episode, Alley Valkyrie & Rhyd Wildermuth discuss fascism and its specifics and ask, is what we're seeing really fascism? The Stelton colony, initially associated with the likes of Emma Goldman and Eugene O’Neill, was a radical suburb whose anarchist residents took the commuter train to New York. The post The Anarchists Who Took the Commuter Train appeared first on Infoshop News. "Mit Urteil vom 12. Mai 1998 - 312 O 85/98 - "Haftung für Links" hat das Landgericht (LG) Hamburg entschieden, dass man durch das Setzen eines Links, die Inhalte der gelinkten Seite ggf. mit zu verantworten hat. Dies kann - so das LG - nur dadurch verhindert werden, dass man sich ausdrücklich von diesen Inhalten distanziert. Hiermit distanzieren wir uns ausdrücklich von den verlinkten Seiten."